Thank you for taking the time to learn a little more about Urban Exotic and the way we can work with you to transform your ideas into your dream outdoor space. Whether looking for a full landscape garden design service or simply a decorative piece for your home or garden, you’re sure to find something very special at Urban Exotic. Our team is made up of talented designers with extensive experience in landscape architecture, urban design, place making landscape design and horticulture. We relish designing for a wide range of client needs in both traditional and contemporary settings. From inner city courtyards to rooftops and balconies, right through to vineyards and private estates, we apply our experience, expertise and passion to deliver spaces of excellence which people simply love to be in. At Urban Exotic our objective is to create sustainable environments and aesthetics which help people connect with their senses. I want their unique outdoor space to help them to drop into a space of harmony within themselves in order to experience a sense of rest, rejuvenation and renewed vitality. My primary goal is to work with you to bring to reality a space which is not only highly functional but which nurtures you psychologically by being good for your soul, your spirit and your loved ones. Established in 1999, Urban Exotic is a highly - motivated landscape design practice, driven equally by passion and excellence. From our head office in Newcastle, we produce outstanding outdoor spaces for clients across the Hunter and throughout Sydney, as well as taking commissions for work nationally and internationally. Working across a broad range of projects, our design team embraces a holistic approach and is committed to ensuring absolute attention to detail throughout the life of a project. A highly service - orientated firm, we value establishing and maintaining strong relationships with our clients through open and honest communication. We're justifiably proud of the multiple national awards we have won for our work but our ultimate reward is the appreciation and satisfaction of our clients. We pride ourselves on being consistent in our design approach without being formulaic or predictable in style. Whether styling a intimate apartment balcony or designing grounds for a entire country estate, we treat every new project as a fresh challenge, with the ultimate aim of delivering a truly integrated outcome. Maintaining a critical focus on excellence, we ascribe to a philosophy which recognises a design of quality is a distillation of many influencing factors. Each element must be carefully balanced, not only by attention to aesthetics but also by ecom=nomic and environmental viability. From our base in the Hunter Valley, we have come to understand the unique topography and climatic conditions of this diverse region. From designing for windswept coastal conditions to unique valley micro-climates, we understand the importance of knowing and respecting the constraints and possibilities presented by each location. From the shores of Lake Macquarie to sprawling country estates in the Upper Hunter, we can work with you to produce the ideal solution for your location. At Urban Exotic, we know gardens are much more than just plants. gardens are for people. 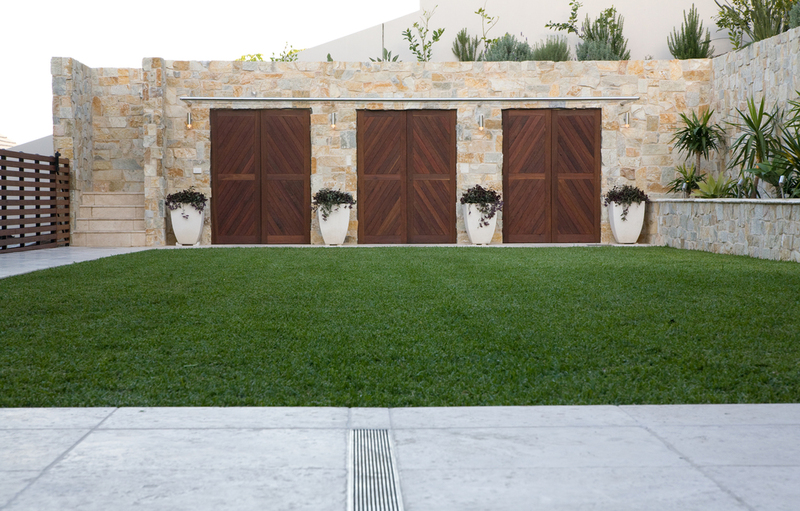 On every project, be it formal, modern, large of small, our team strives to provide clients with an individual approach to the design of their gardens and spaces. When a final design reflects a client's own tastes and lifestyle, we have done our job well. The largest focus of our practice is on the delivery of outstanding garden designs - taking a blank canvas and creating a extraordinary outdoor living space. Offering design solutions that are sensitive and site appropriate, yet responsive to the needs of each client, our team is lean, cohesive and motivated by the challenges presented by every new project. We know all-too-well how stressful the construction phase can be. That's why we'll work with you throughout this crucial component of the design process to deliver a highly personalised service incorporating creative, detailed and distinctive designs.